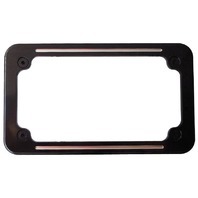 Billet Custom License Frame works great on Harley-Davidson and Metric Cruiser applications. Popular Ball Milled style. 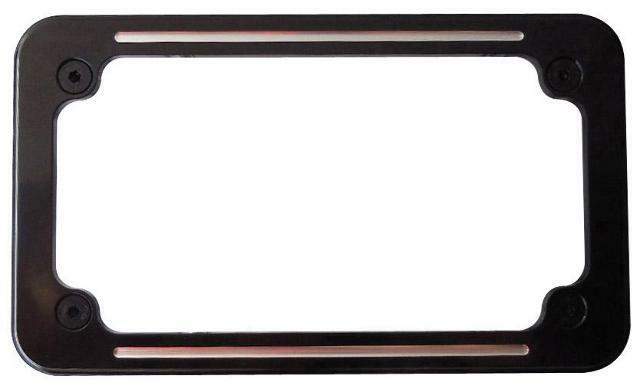 Frame measures 7-1/4" x 4-1/4". Durable black anodized. Includes chrome hardware.